With this year’s blistering summer, California’s solar energy production has surged so much that the state might be taking a break from new renewable projects beginning next month. Currently, California is regularly shunting electricity to Arizona and other states (sometimes paying them to do so) just to avoid overloading its own current lines. 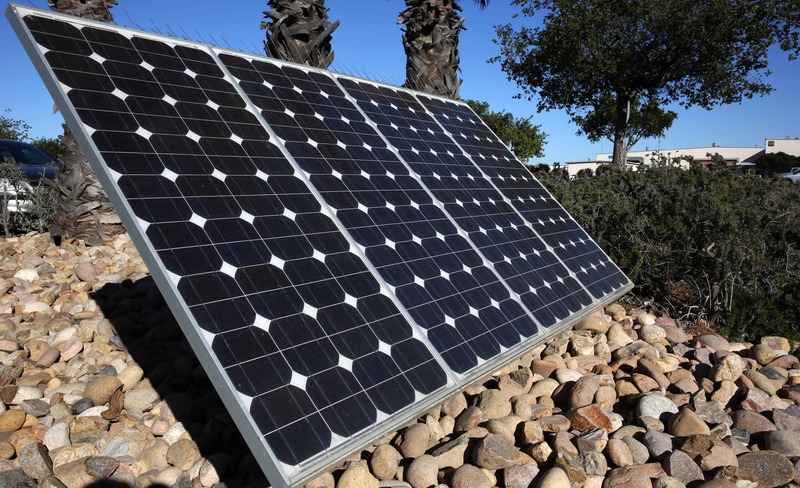 A solar panel gathers light from the sun to provide energy at a California Marine Corps Air Station. Credits: DoD. In 2010, California was generating some 0.5% of its electricity through solar technology, but last year, the figure reached 10% — marking a 2000% growth in less than a decade. The growth isn’t all that surprising. For starters, California’s geographical situation makes it ideal for renewable energy generation (particularly solar), but that isn’t even half the story. California is the world’s sixth-largest economy, with a GDP larger than that of countries like France or India, so they have the money required for investments; and with the price of renewables constantly decreasing, California can afford to lead the world with a shift towards renewables. The state’s policy has also favored this transition, so all the conditions were met for a green energy revolution. Over the past two decades, California has been home to a number of “world’s largest” solar facilities, many of which are located in the Mojave Desert. Furthermore, in May 2018, the commissioners of the California Energy Commission voted unanimously to require that nearly all new homes in the state be built with solar panels. Starting in January 2020, all new homes under 4 stories will have photovoltaic solar panels installed. But the revolution was so swift and so successful that California started producing too much energy for its needs — at least on some days. California still imports almost 30% of its electricity, but on very sunny days, its production surpasses the needed levels. So starting next month, the state may be taking a break from building new renewable energy plants. “They’re basically saying, ‘There’s too much going on; we don’t know what to do, so we’re not going to do anything for a while,’” Jan Smutny-Jones of the Independent Energy Producers Association told Greentech. California is also quite likely to achieve its mandated goal, which is reaching 50% of energy production via renewables by 2030. Renewables accounted for 27% last year, but if the growth rate carries on or even slows down slightly, the target will likely be achieved. But California’s renewable market could be reinvigorated by another goal: the California state Senate has proposed legislation to require 100% renewable energy by 2045, which would make California the first US state to go fully renewable. While that’s still a while away, California’s transition has been nothing short of impressive. California has set aggressive goals for itself, and it seems to be working out for the most part, though California’s electricity rates are among the highest in the United States as a result.